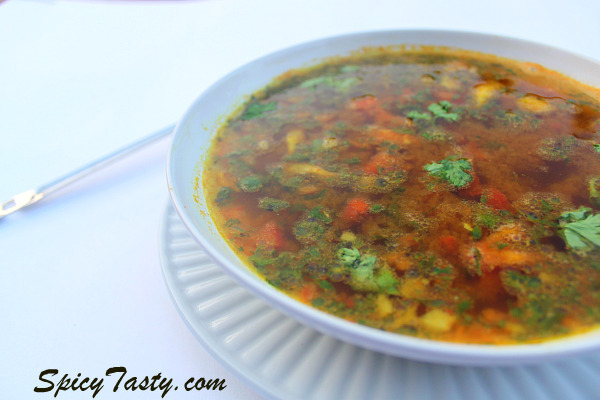 Rasam is a comfort food in south India. It’s a very traditional dish and everyone in south India almost used to make it everyday. 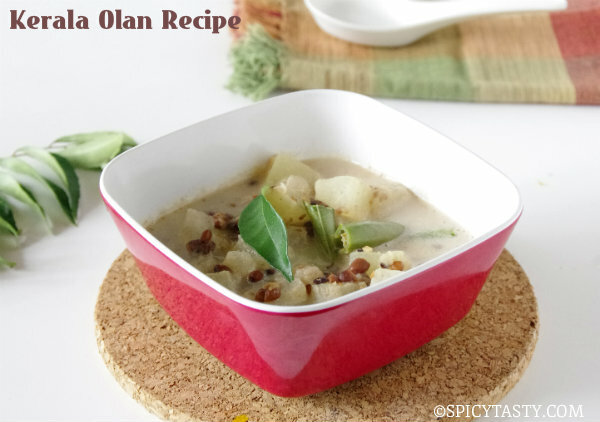 It is considered as a second main course and can be eaten with white rice. It’s very good for health, because lots of different spices are used in it. You can just drink it like a soup or as an appetizer too. Rasam can be cooked in different ways. Milagu (pepper) rasam, Dal(Lentil) rasam. Grind tomatoes and coriander leaves and green chilies together into a coarse paste and keep them aside. Now just grind the garlic, peppercorns, cumin seeds and fennel seeds. Don’t grind it into smooth paste, just pulse it twice and remove it. Now in a small bowl add the tamarind paste, ground tomato paste(step 1) and ground garlic, pepper mixture(step 2) and add a cup and half of water. Mix it all together, add turmeric powder, slat to taste. Adjust the sourness by adding water. Heat oil in a kadai add mustard seeds, urad dal, cumin seeds, asafoetida, whole red chilies and the curry leaves. After it sputters add the rasam mixture (step 4) in to the kadai. 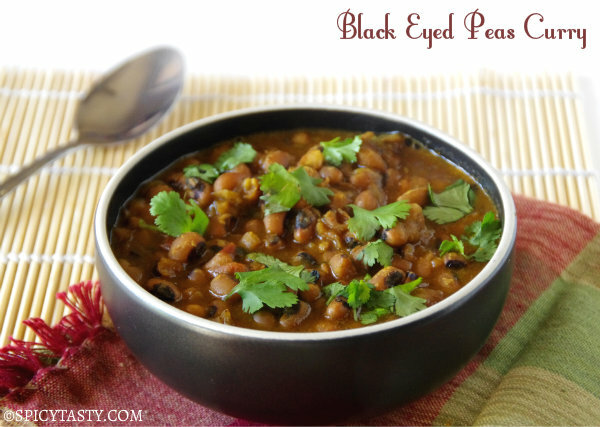 Bring it to boil and remove it from heat , garnish with coriander leaves. Tomato Rasam is my favourite. Clicking Rasam is not at all an easy Job. You have clicked so detailed. never made rasam at home..that looks delicious..very tempting pics! Rasam looks really delicious. Using urad dal and fennel in rasam is new one to me. That Rasam looks indeed spicy, tangy and yummy! Shriya, Rasam looks yum..adding fennel seeds to rasam is new to me..will try this..thanks for sharing this lovely recipe.. Your Rasam makes me hungry…Nice click. Thakkali rasam looks so good ya! Loved lots of tomatoes in rasam. Slurrppppp! Thanks ladies for your valuable comments. I am a beginner.Can you tell me how to grind in step 1,2. Should I use a mixie? 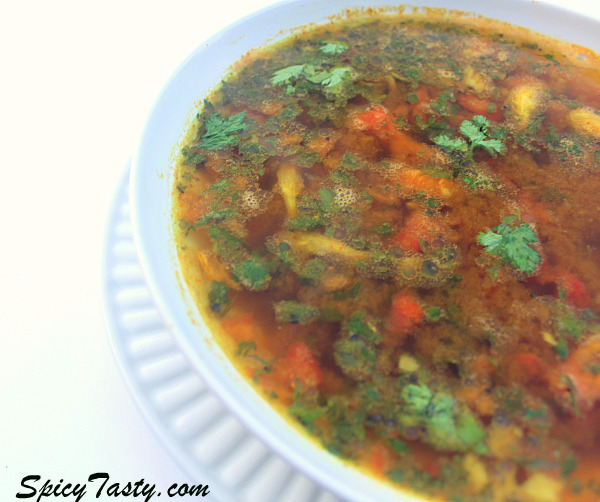 Hey Shriya, this rasam recipe looks really great! Thanks!! Thakkali Rasam is heavenly..Can have at any time. Nice click. One of my favourite soup I always crave..Don’t quite like all the spice seeds when I’m enjoying the soup..so decided to strain them all 1st..& savour every sip slowly…Thanks Shriya.